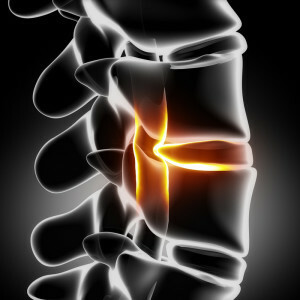 Spinal decompression therapy has become much more popular ever since its introduction in the 1990’s. The treatment involves intermittent spinal traction, which relieves chronic neck and back pain from degenerative disc disease, failed back surgery, spinal stenosis, radiculopathy, and sciatica. Decompression therapy is cleared by the FDA, low risk, noninvasive, 85% effective and costs under 10% of what spine surgery costs. How long has spinal decompression therapy been available? Spinal traction has been around for over 50 years. But spinal decompression therapy is extremely different than continuous spinal traction. 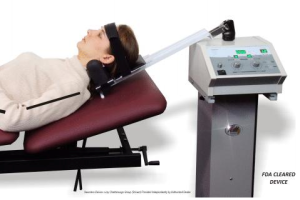 In the 1990s, spinal decompression therapy was cleared by the FDA and has become exponentially more popular since then. When the treatment first came out, it cost over $5000 for a series of treatments. Due to competition, it is now down to under $2000 for a full series of 21 sessions. 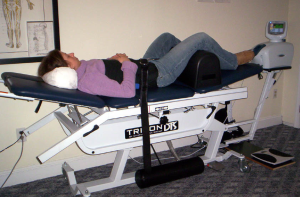 How is spinal decompression therapy different from regular spinal traction? Regular spinal traction continuously pull on the spine. The back or neck muscles will spasm against that pull, and the treatment often fails for its desired purpose. In trauma situations for the neck and extremities, traction is still used. Spinal decompression therapy is different because it offers intermittent spinal traction that does not cause the spasms. Due to that, it can effectively relieve chronic and acute back/neck pain nicely. For what conditions does it benefit in the back and neck? What is the science behind spinal decompression therapy? The intermittent spinal traction avoids muscle spasms. The spinal areas that are being treated are separated during the treatment, and it creates a negative pressure inside the disc space. Spinal decompression therapy for the neck works just as well for low back problems. nutrients to help repair the area. For degenerative disc disease, this helps heal the disc and relieves sciatica and spinal stenosis pain. Pain relief may be dramatic. While the treatment doesn’t fix the problem of the disc herniation, stenosis, or DDD, it does help with temporary pain management. Those who have failed back or neck surgery can get great relief with decompression as long as spinal instrumentation was not used. Who should not have treatment with spinal decompression? Spinal fusion with instrumentation in place. Most people simply relax during the treatment. It’s not painful. benefit. This usually lasts for approximately 6 or 7 weeks. PT and chiropractic treatment often is performed in conjunction to get best results. 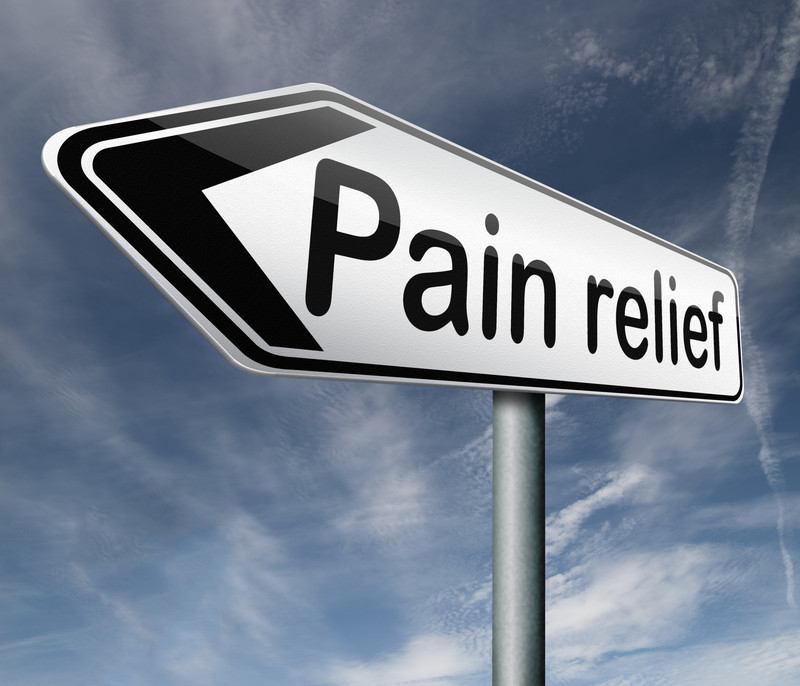 It may also mean that a Fort Myers pain management doctor performs treatments such as facet injections, medication management or radiofrequency ablation too. How much is the treatment and does insurance cover it? When it first came out, the treatment was over $5000. Now a full series usually cost less than $1500-2000. There are instances where insurance companies pay for decompression. Are there risks with the treatment? The risk of spinal decompression therapy is truly minimal. There is a small risk it could make sciatica worse, or lead to an osteoporotic fracture. These would be extremely unusual. Most pateints are relaxed and quite a few actually fall asleep. Spinal decompression therapy is a low risk option for pain management that is usually highly beneficial. With the cost being much less than surgery, it is a great nonsurgical therapy to try when the neck or back pain may otherwise lead to surgery. Simply fill out the form today or call (239) 288-0072 today!